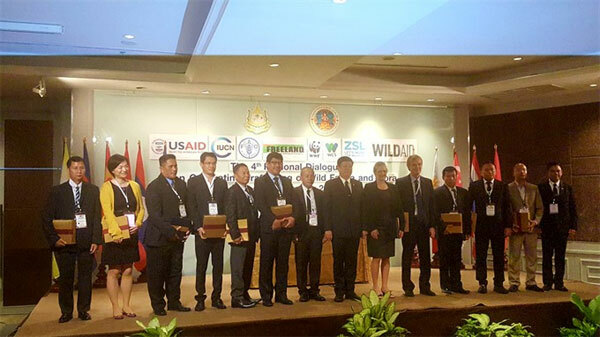 VietNamNet Bridge – More efforts are needed to strengthen and support collaboration among ASEAN countries and China to combat the increasing wildlife smuggling and poaching of endangered wildlife, the 4th Regional Dialogue on Combating Trafficking of Wild Fauna and Flora heard in Bangkok on Wednesday. The two-day event will see country updates, presentations, and group and panel discussions by 40 delegates from ASEAN countries and China and some 80 representatives from various local and international agencies. Recently Viet Nam has emerged as a destination for many illegal wildlife products. David Lawson, USAID Saving Species Project’s Chief of Party told Viet Nam News: “It’s probably related to the fact that Viet Nam is becoming a wealthier country, so now people can afford things they can’t before. And one of the things culturally people want to get are things like rhino horns and ivory, and because of the limited population of rhinos and elephants, that’s where the problem is. “Viet Nam in July has approved a penal code, and that is a really good illustration because the penalty for illegally possessing rhino horn and ivory now is much greater. “That penal code will come into action in early 2018. But part of that process then is to assist in producing the guidelines and things for prosecutors and judges to do training programmes for police and customs. “I think that the dialogues are important to raise awareness at a high level. I mean you got some senior people here in all 10 countries, and these sorts of dialogues do help keep the picture alive."